Christie’s contemporary art sale in New York raised US$495m. Even Christie’s themselves described the result as “staggering.” The sale included works by Jean-Michel Basquiat, Roy Lichenstein and Jackson Pollock and established 16 new world auction records with nine works selling for more than US$10m and 23 for more than US$5m. 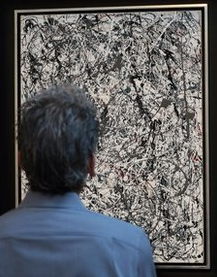 The top lot was Pollock’s drip painting ‘Number 19, 1948’ which fetched US$58.4m. 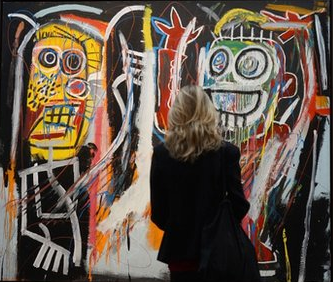 Basquiat’s ‘Dustheads’ went for US$48.8m. Brett Gorvy, head of post-war and contemporary art, described the amount as, “the highest total in auction history” and said, ” The remarkable bidding and record prices set reflect a new era in the art market.” Whenever anyone starts referring to a new era in the art market it is normally time to run for the exits. Steven Murphy, CEO of Christie’s International, said new collectors were helping drive the boom, “Twenty-five percent of our buyers last year were new to Christie’s, and four or five of the key lots tonight went to people who have never bought here before.” This is an amazing statistic. In the past collectors gradually started small and worked their way up spending more as their eye improved and their confidence increased. So who are these people paying these amazing prices? A few regular buyers are still in this market but many of the new buyers are recently minted tycoons from the countries formerly on the edge of the civilised world such as Georgia, Kazakhstan and Mongolia. Jussi Pylkannen, President and Chairman of Christie’s Europe, told Reuters, “There is global competition that we have never seen in the art world before.” These new buyers help polarise the art market into the best known and the rest. They seek the work of the few artists they have heard of. Quantitive easing lowers interest rates sending money looking for yield and capital appreciation. It also devalues the dollar and is driving capital into hard assets such as art. In addition uncertainty caused by factors such as tax havens opening up their secrets is sending a wall of money back onshore and looking for a home. The result of all this is an art market on fire driven by a whole slew of speculative and short term reasons. Masterpieces by the rarest and most important artists will always be worth buying but the speculative areas of this art market are entering unknown territory and caution is advised. Even the California redwoods do not reach for the skies forever and when they topple over you do not want to be standing underneath. It sounds like a good time to cash in on select art and liquidate.